Firebug UI is entirely based on XUL/HTML/CSS and so, it's easy to provide a new set of CSS styles (a theme) that modifies Firebug UI and adjust it to your needs and preferences. One of the typical examples of such modification is changing the background color (dark vs. white). This post explains how to use Jason Barnabe's Stylish extension and apply arbitrary CSS on Firebug UI. Thanks to Luís who mentioned this! 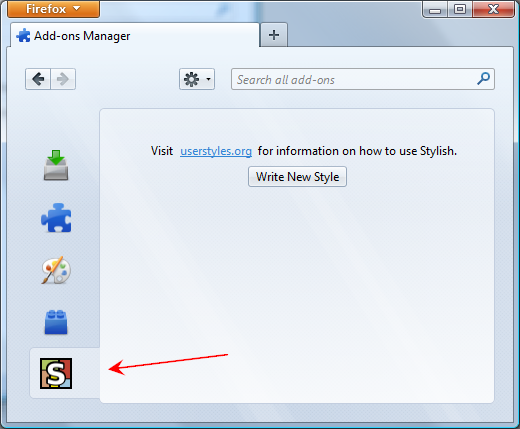 Stylish is Firefox add-on and so, just go to Mozilla Add-on site and press Add to Firefox. In order to find out what CSS rules you want to actually overwrite to modify Firebug UI install DOM Inspector. This add-on allows you to see all elements that make up Firebug UI as well as all associated CSS rules and properties. Stylish implements its own simple CSS editor that is opened if you click Write New Style button. All you need to do is to provide a name and CSS rules. In order to change Firebug's panel background color you need to modify panelNode class. 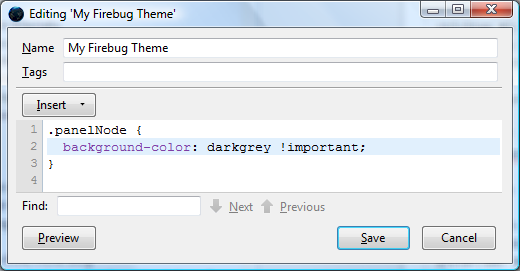 You can also visit userstyles.org and search for available Firebug themes.